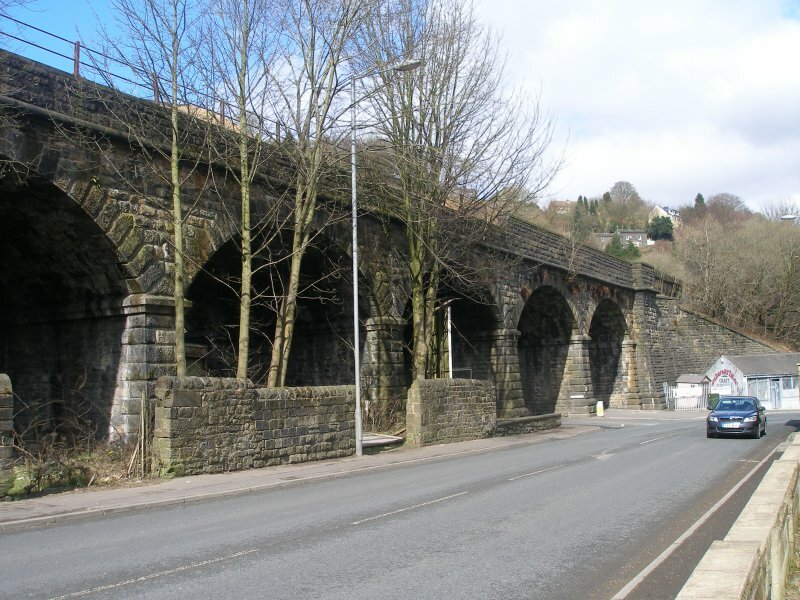 Gauxhome Viaduct is one of the well-known Stephenson structures on the approaches to Todmorden. 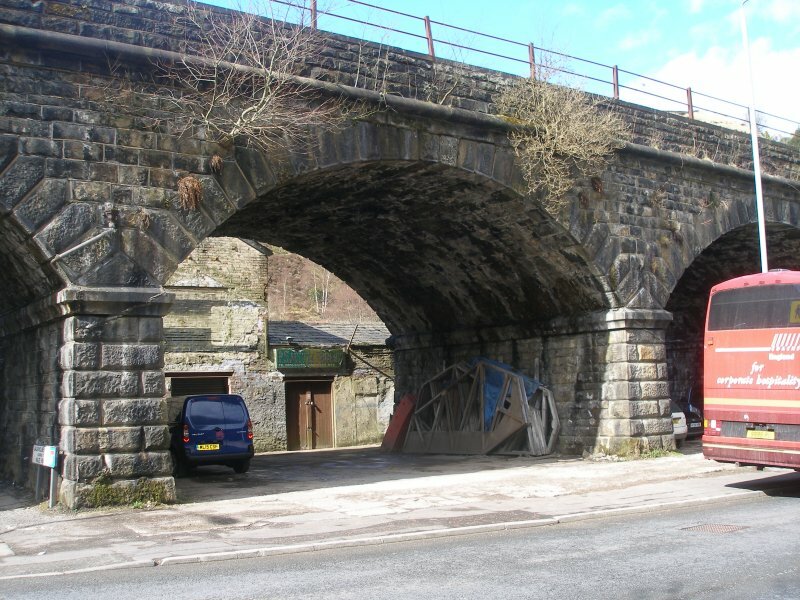 The site consists of two structures; a canal bridge and viaduct (Bridge 101) and then the famous skew bridge that crosses the canal again (Bridge 102). 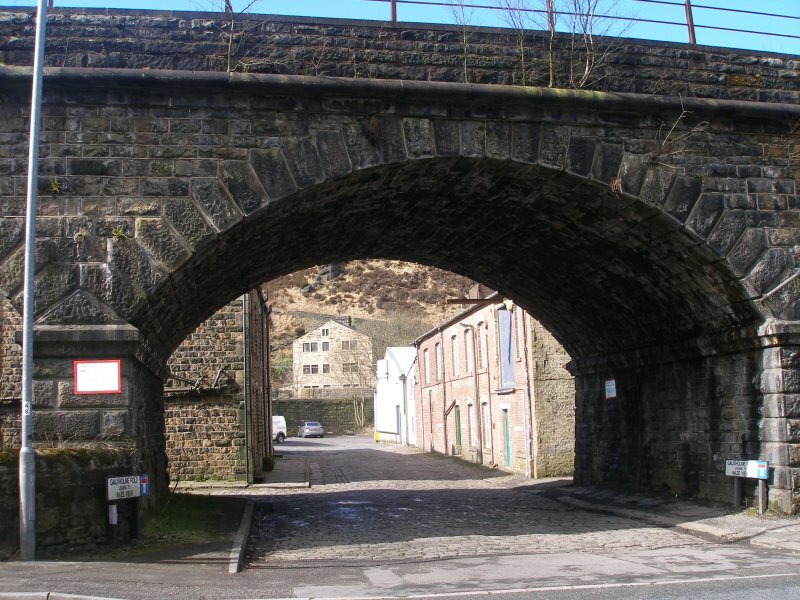 This page is concerned with Bridge 101. 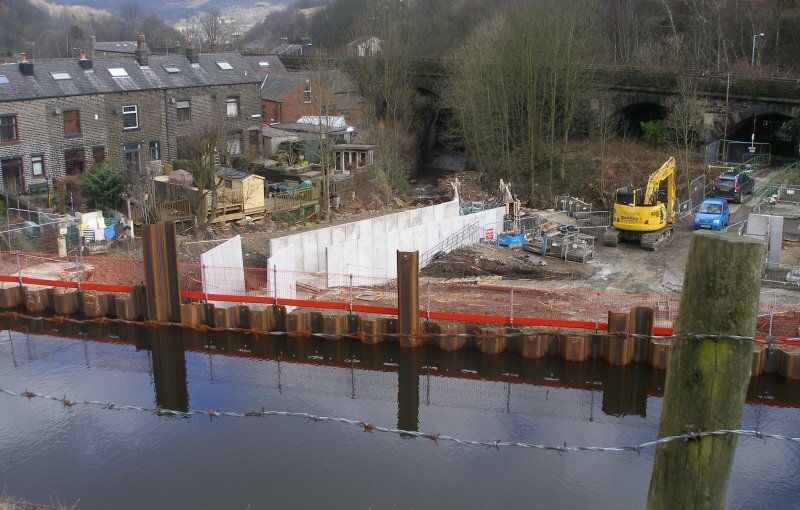 Access to the underside was precluded due to extensive repairs required to the towpath following extensive flooding after Christmas 2015. 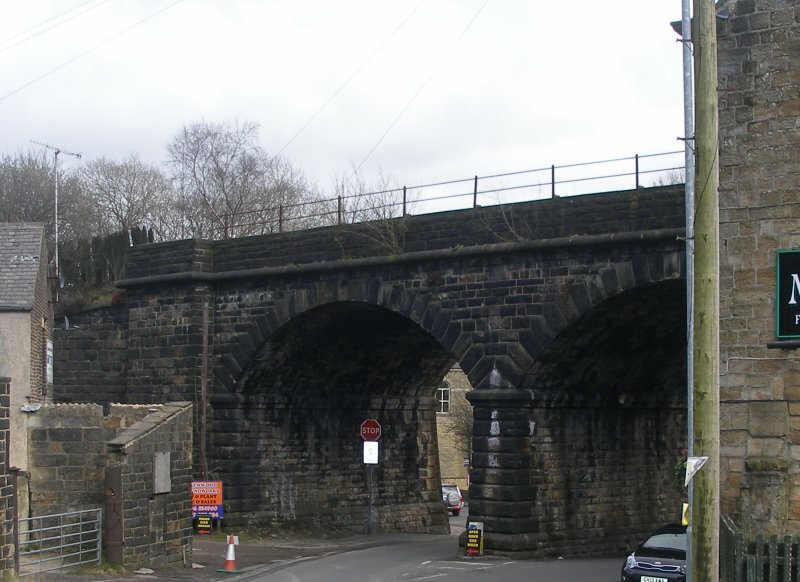 Bridge 100 as photographed on Friday 25 March 2016. 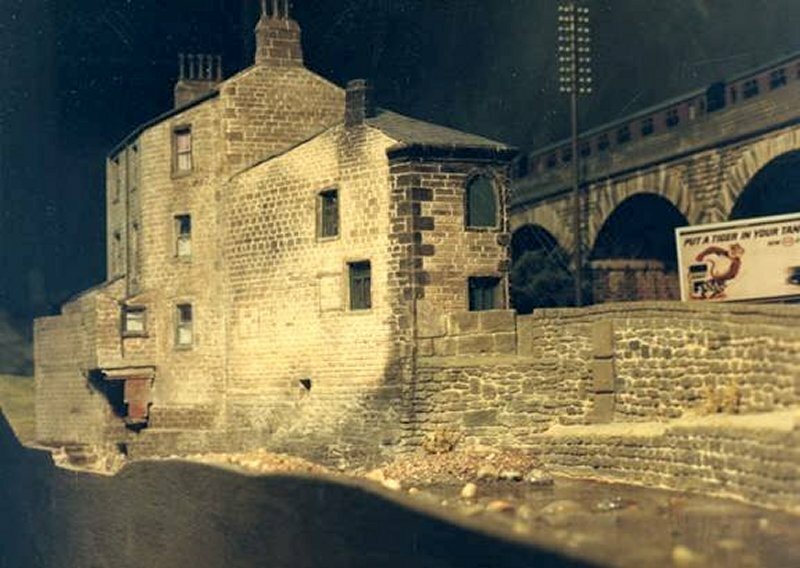 The Rochdale Model Railway Group back in 1982 completed a model of the viaduct, and it spent some time on the exhibition circuit before being retired. 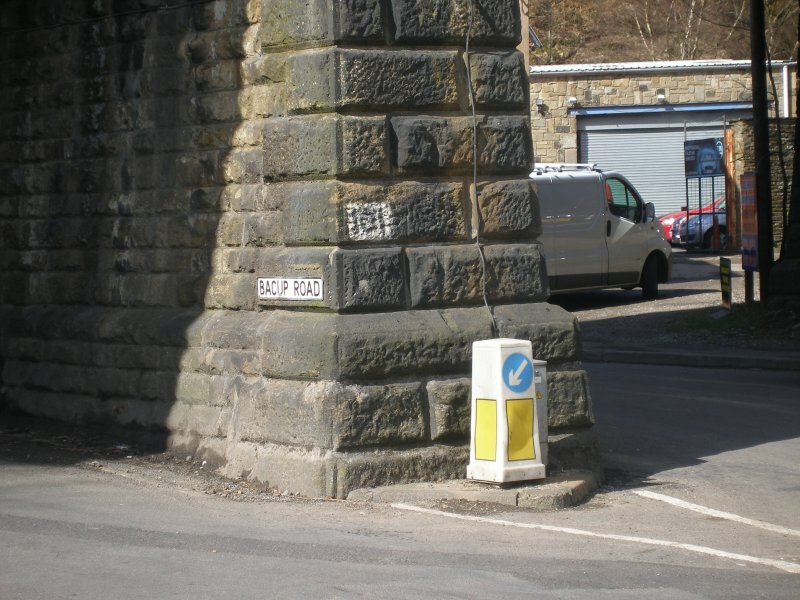 It was known to still be in existence in 2015. although its current status and whereabouts are unknown. 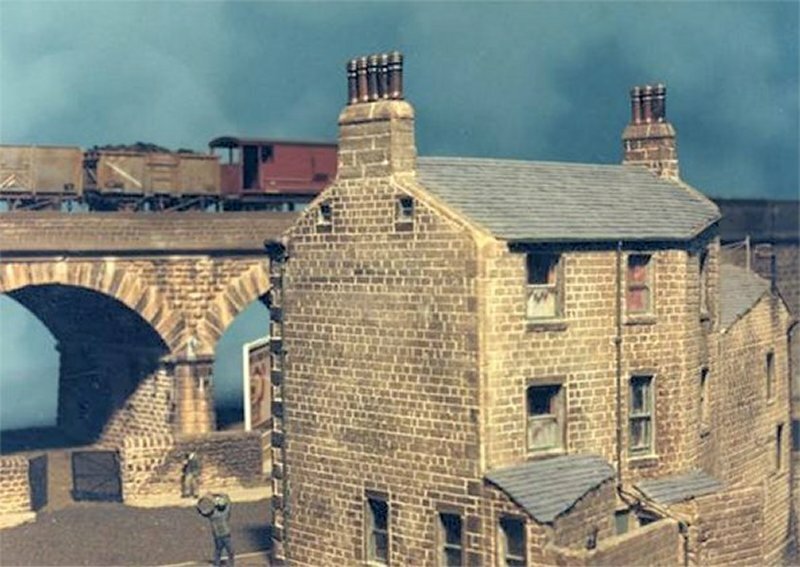 The layout was featured in the January 1988 issue of the 'Railway Modeller'. 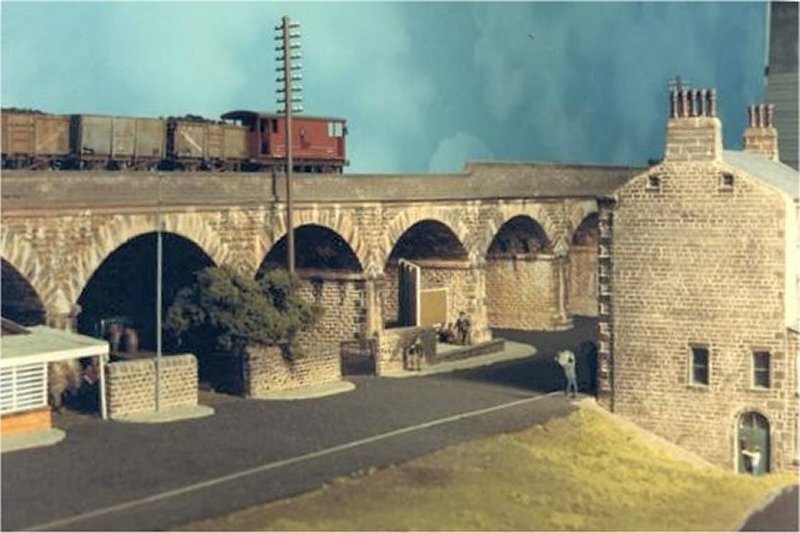 I am very grateful to Andy Cooper of the Group for permission to reproduce the following images of the layout in its prime. 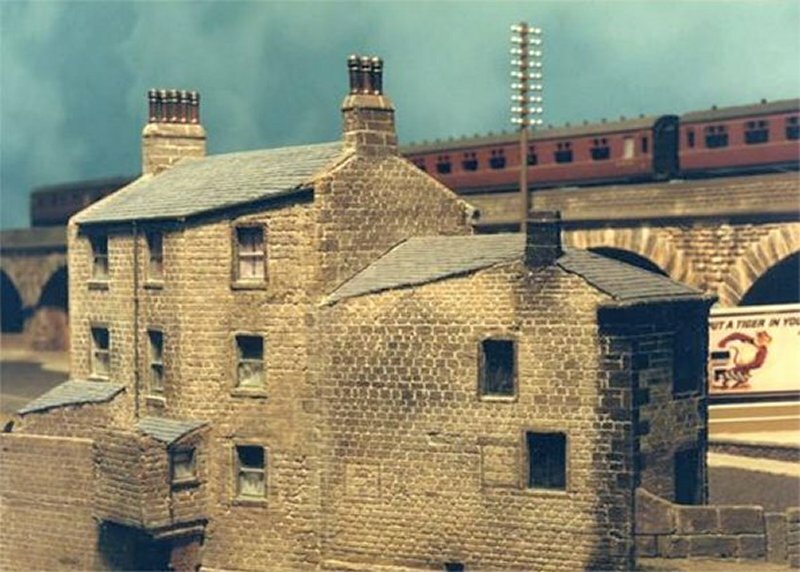 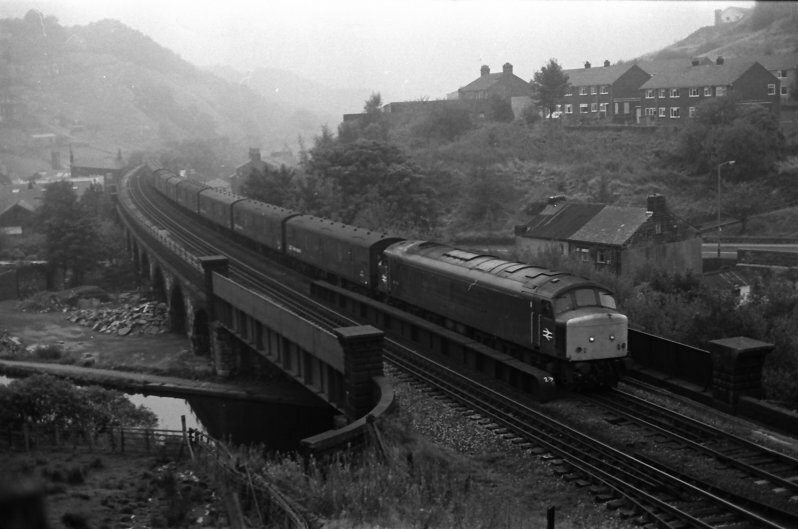 Note the roof of house of 281 Rochdale Road on the far side of the viaduct in the above image. 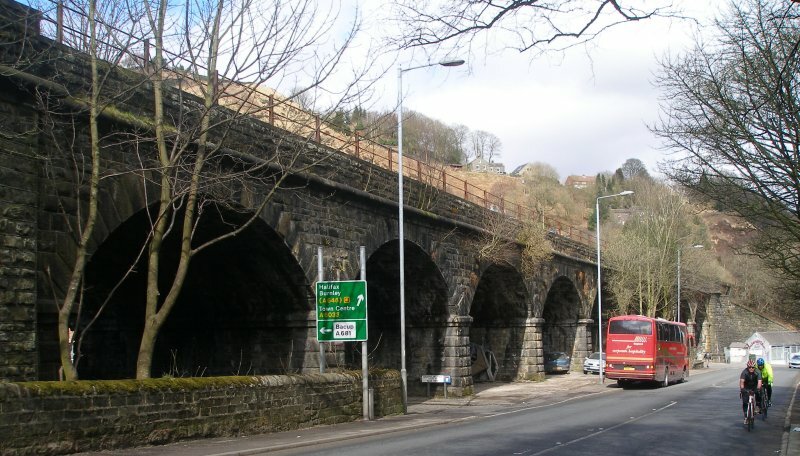 The buildings were completed by the late Harry Maden.